The voluntary program by the Environmental Protection Agency helps individuals and businesses protect the environment and save money through exceptional energy efficiency. This program helps people to identify the best ways to save energy. The ENERGY STAR label says that a product, building, or factory is doing the right things to save energy. 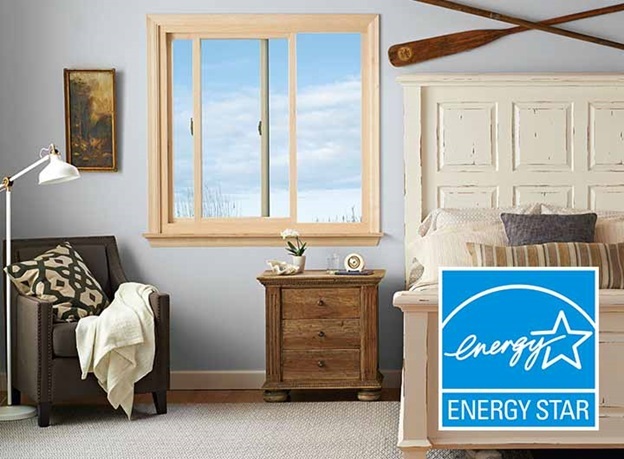 Going for ENERGY STAR-certified casement windows and other window types means going for a reliable and energy-efficient product. Why Should You Trust the ENERGY STAR Label? ENERGY STAR implements third-party certification requirements and testing. To earn the blue label, a product must pass strict requirements in EPA-recognized laboratories. Each year, a percentage of these products are also subject to “off-the-shelf” verification testing. This ensures that changes or variations in manufacturing do not undermine a product’s qualification. As an expert in window replacement, we make sure all our windows are ENERGY-STAR certified. We use a whole window approach to energy efficiency. All of our windows come standard with our High-Performance™ Low-E4® glass that can save you up to 25% in your energy bills. Meanwhile, we manufacture our window frames from Fibrex® material. Fibrex is durable and serves as a great insulator. Finally, we ensure perfect window installations for our customers. This makes sure that our windows perform according to specifications. This comprehensive approach is what makes us among the top window contractors. By focusing on the window and window replacement process, we make sure that our windows deliver superior energy efficiency. Our ENERGY STAR certified windows can significantly reduce your energy bills and ensure that your home stays comfortable throughout the year. In addition, our replacement windows are durable, long-lasting, and beautiful. Renewal by Andersen of Las Vegas serves North Las Vegas, Green Valley, Summerlin, Henderson, and Boulder City. Call us at (702) 722-2052 to learn more about our energy-efficient replacement windows. You can also schedule a free in-home consultation.